So said the Seer of Kattegat when Rollo went to visit and confess how useless he was and how Ragnar was always chosen over him by everyone, including Lagertha. Already notorious for betraying his brother, Rollo had no idea where his washed-up life would lead. Then after successfully raiding Paris, something crazy happens: Rollo decides to betray his people. He marries a Frankish Princess, becomes the King’s trusted Duke, and drives a follow-up Viking raid back to Kattegat with their tails between their legs. 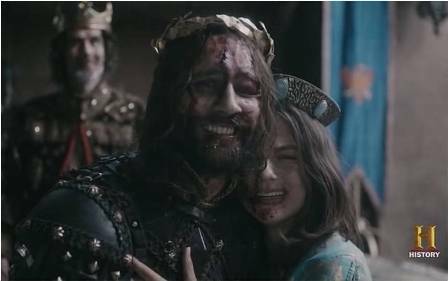 Rollo has never been happier, but I’m certain the dire consequences of his actions will be revealed soon. Everyone’s favourite shield maiden is no pushover. 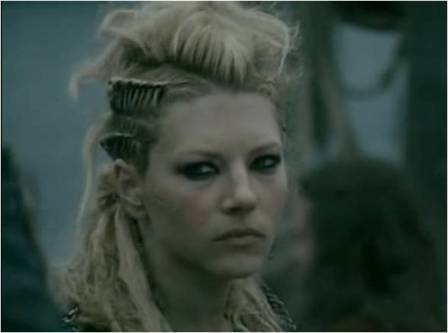 She rises to become leader of her village, then join Ragnar in his war against Paris. After a ferocious battle against Rollo and his Franks, she gets stabbed in the chest. Lying unconscious on the ground, her son Bjorn carries her back to the boat, but I’m certain we haven’t seen the last of her. Bjorn has truly proven his worth, growing a magnificent beard and becoming a fine Viking warrior, but now he learns of several mysteries involving his father. 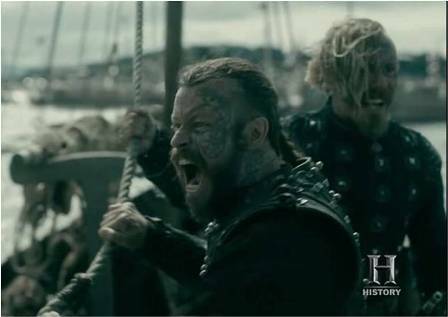 A man brings news that Ragnar has a 12-year-old son in England, and the settlers they left were killed as soon as the Viking raiding party sailed away. To make matters worse, Ragnar knew about all this, and lied to everyone by acting like nothing happened. Not cool, Ragnar. Not cool. But Bjorn has bigger plans. He has a map of the Mediterranean Sea and Floki is building him a fleet of boats to sail across it… if it exists. I’ve heard tales of a leg-impaired Viking who was carried into battle on a wooden shield. 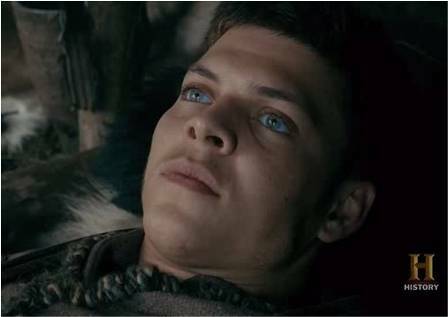 Ivar was born without the use of his legs, a disability that would have seen him as a baby thrown into the wild if Ragnar didn’t have a change of heart at the last second. Now he has grown into a youth of sharp mind and fearless manner, although his beard hasn’t kicked in as yet. He’s at a hunting cabin with his three brothers when Bjorn approaches with news of Ragnar’s lies. 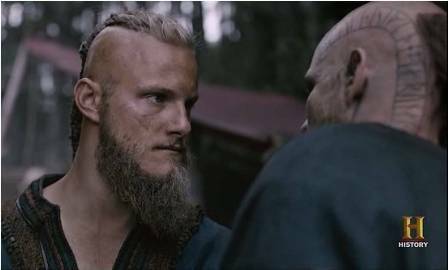 Two decide that the next time Ragnar shows himself, they’ll kill him. But not Ivar. He does not think with love or emotion, and I’m interested in seeing him becoming the Boneless that charges into hundreds of enemies balancing on the back of a wooden shield. 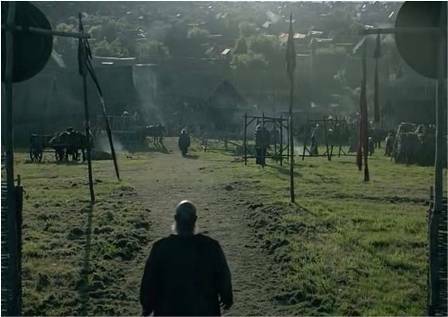 After going missing for ten years, Ragnar decides to saunter into Kattegat with sword in hand. Everyone stops in disbelief, and follows in anticipation of his next move. This is the man who led them to Paris and failed. 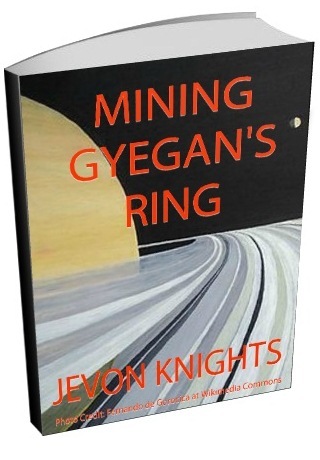 This is the man who lied about the welfare of their settlers in Wessex. This is the man who abandoned his sons. This is their king. Ragnar knows he’s a disappointment and decides to announce it all, then dares someone, anyone, to kill him and take the throne. So… who’s going to do it? It’s time to find out. With the most amazing war chant I’ve ever heard in all my years at war, I’m certain that this guy has a major role to play. 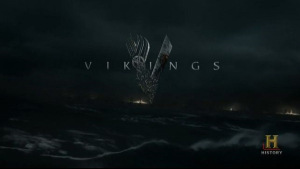 So it’s time to dive back into Vikings. Excuse me while I go grab a pack of cashew nuts and watch episode one.